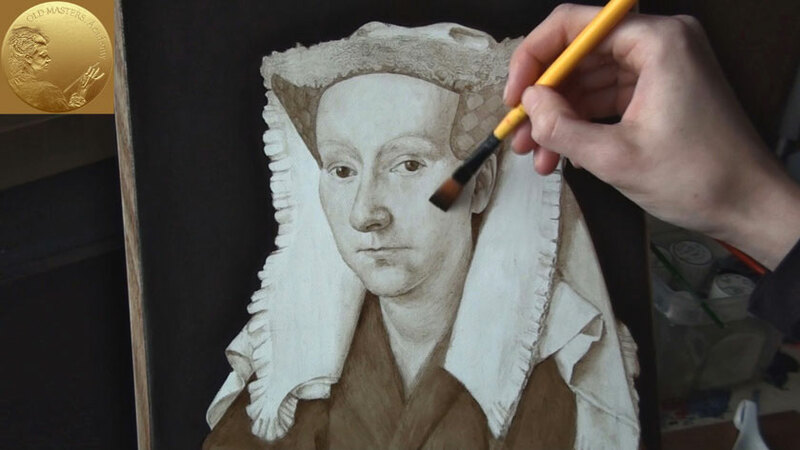 In this video tutorial we will see the process of making a copy of the oil picture: “Margareta – the Wife of Van Eyck”. 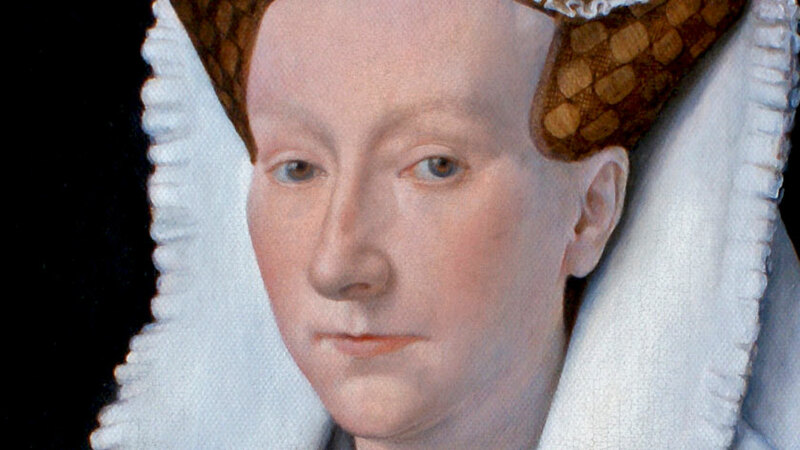 The Portrait of Margareta was created in 1439. The original painting was done in Oils on wood, and measures 32,6 x 25,8 cm. It is currently located in Belgium. 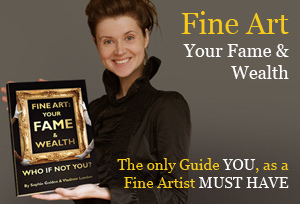 In 2010 the portrait was exhibited for a short period of time in the National Gallery in London; at that time Natalie had the opportunity to see the original piece of art and was fascinated by the quality of the artwork and the artist’s skills. 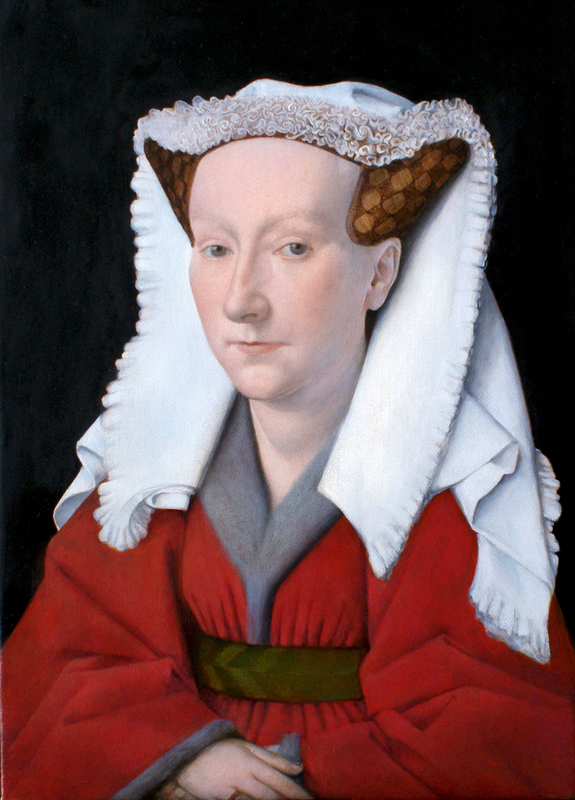 Van Eyck has created the portrait of his wife Margareta as a small, intimate picture, in wooden frame. The portrait is transparently shadowed and the white hood on it is modeled delicately. Until the French Revolution, the corporation of painters kept this work in its chambers, treating it like a holy relic. This Portrait is one of the fist portraits in art history where the sitter looks straight into the viewer’s eyes. The viewer becomes a part of the story and not merely an observer. Completed in 1439, just two years before his death, Van Eyck may have intended this portrait for his home. Perhaps, he gave it to his wife as a birthday present, as there is a ‘speaking’ inscription on the panel – my husband Johannes finished painting me in the year 1439 on 15 June / my age was thirty-three. This is followed by the artist’s own motto in Greek characters which means: to the best of my ability. As far as our study is concerned, we will concentrate just on the portrait itself, without the frame. The original portrait was painted in oils on wood. The size of the canvas chosen for the copy is very similar to the original one. The drawing was transferred from the carton to the white primed canvas. 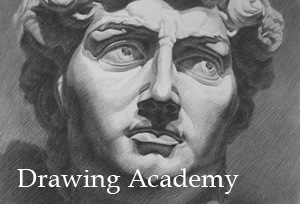 Various methods of copying the drawing can be used. One of the simplest methods is “Squaring up.” “Squaring-up” consists of making a network of squares which not only cuts-up the portrait of Margareta, defines its lines and proportions, and make it possible to be sure that any part of the original will come in the same relative place in the copy no matter what the size may be, and at the same time leaves the actual laying out of the thing to freehand drawing. The process is very simple. On the portrait you mark off both vertically and horizontally the number of points. Draw straight horizontal and vertical lines across the study from each of the points, keeping the lines parallel and crossing them at right angles. These lines cut the portrait into right-angled parallelograms. Number the spaces between the lines at the top, 1, 2, 3, etc., and on one side. The numbered squares on the canvas correspond to those on the picture of Van Eyck. Thus, taking into consideration the square and any line within it, one can easily repeat the line on the canvas. Such a method helps not only to preserve the accuracy of all the lines and their relations to one another but also leaves the possibility to modify or correct anything. 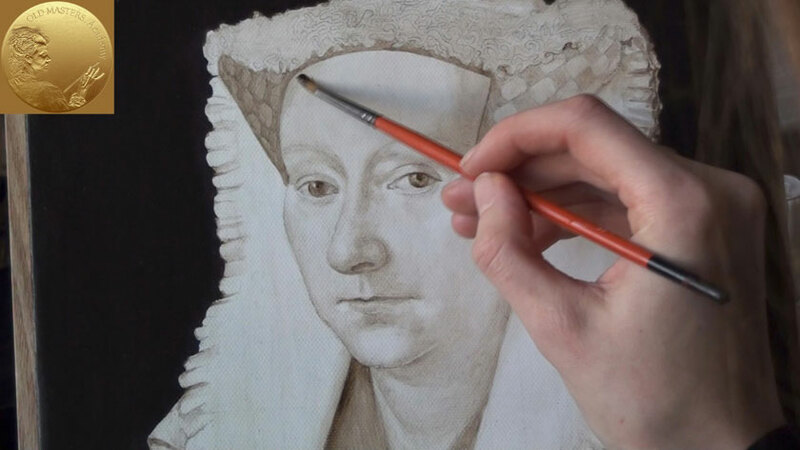 The first stage is underpainting in brown color. Underpainting is the initial layer of paint applied to the ground, that serves as a base for subsequent layers of paint. Paintings executed in brown are sometimes referred to as brunaille – a more specific term. A Brunaille is a painting entirely or primarily executed in shades of brown. Such a technique was a standard procedure at Van Eyck’s time. Thus we’re following the process as close as possible in modern conditions. We have chosen Vandyke brown oil paint for underpainting. You should use two soft hair flat brushes. A smaller brush is for applying brown paint and a bigger one for smoothing gradient from the dark to lighter shades of the brown color. Copying is the best way for a student to study, and a useful, sometimes necessary process for a painter. Transferring the results of his sketches and studies to the final canvas, a painter has to be able to copy, and to know all the advantages of it. Speaking of the process of training, a copy gives a student the most practical means of understanding the intent and the expression of the painter whose work he wishes to know. There is no any other way to understand in full the why and the how of technical expression so sure and complete as to study with the brush and paint, following the same method and processes as the master you copy, and trying to comprehend the meaning and the expression at the same time. When making a copy, you should strive for something more than a mere approximation of the right colors in the right places. Certainly to benefit from copying, one should seek something more than a mere recognizable picture. 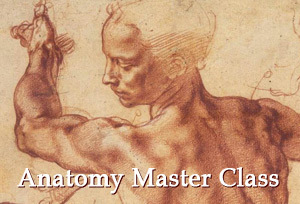 When a diligent student makes a copy, he does his best to get it like NOT ONLY in drawing and color, but also in the manner of treatment, technique and everything that goes to make up the «manner» of the original. This is the only way of getting the real knowledge of the technique. No other easier ways exist.